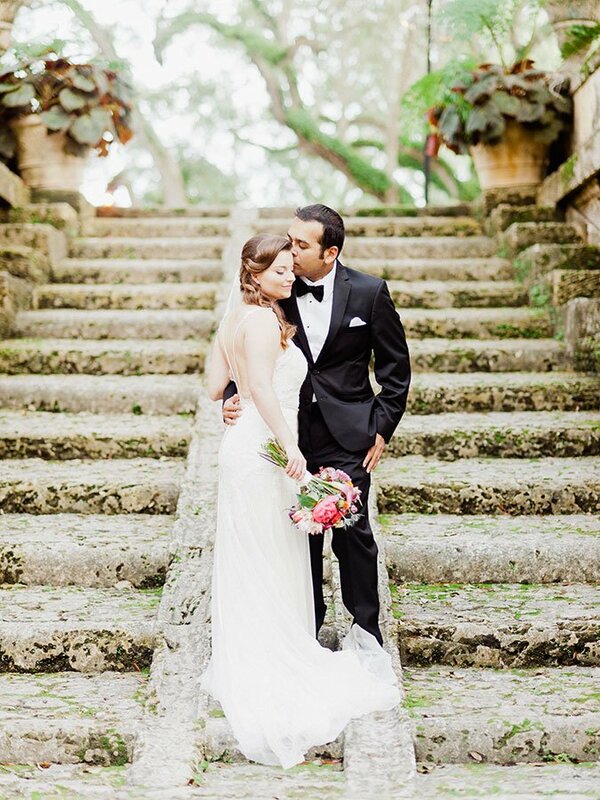 A Vizcaya Museum and Gardens wedding will transport you to another time and place. 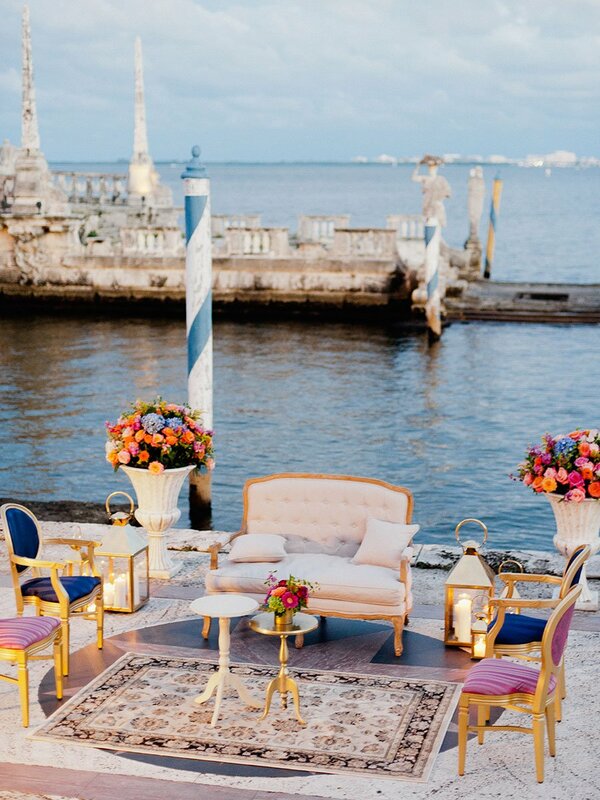 Vizcaya is one of the most breathtaking historic wedding venues on the water. 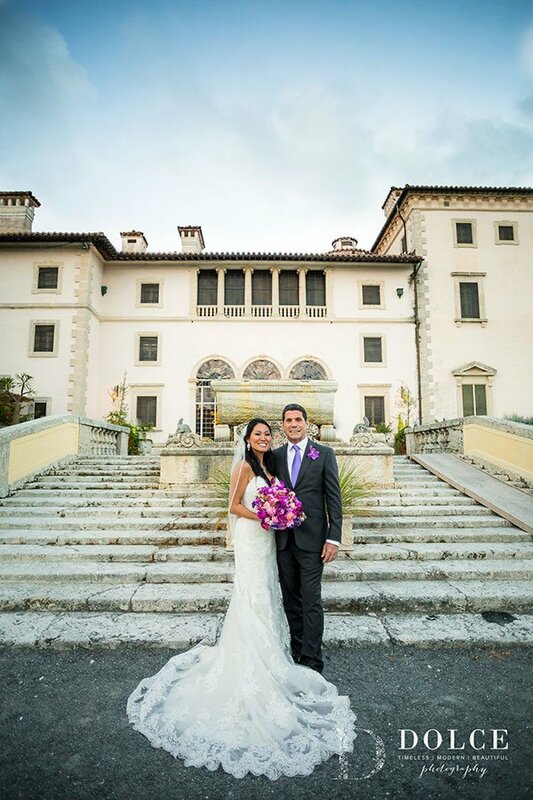 The splendid gardens, exquisite architecture, incredible courtyard skylight, and diverse sculpture collection make Vizcaya a top wedding destination. 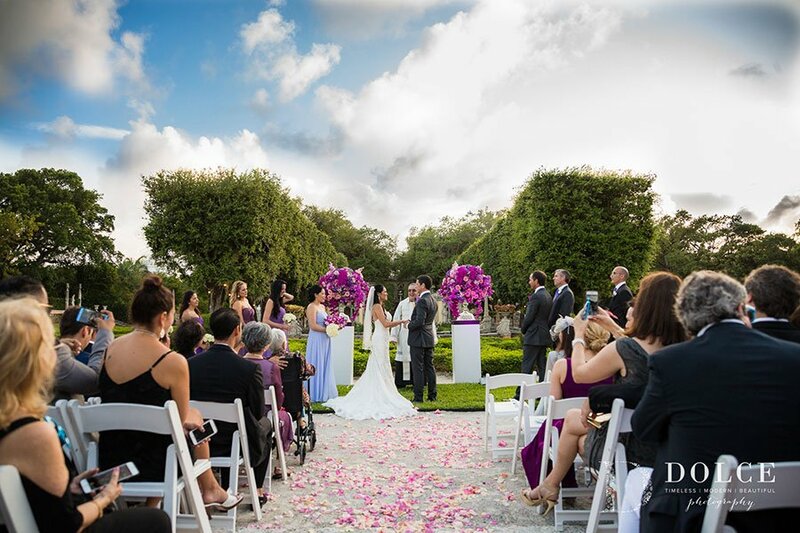 This favorite wedding location is one of the most unique estate venues in Florida. This estate was built between 1914 and 1922. Vizcaya boasts Italian Renaissance gardens and elaborate landscaping. It uses a mixture of Mediterranean Revival architecture with Baroque elements and consists of 50 acres with the villa, gardens and remaining native forest. Ceremonies may be held in the gardens or in the courtyard of the Main House. Cocktails and dinner can be held either in the courtyard, the gardens or the terraces that overlook Biscayne Bay. With its majestic architecture, fountains and magical gardens on Biscayne Bay, this fairytale mansion truly provides an awe-inspiring setting for any special celebration. View Wedding Catering Photo Galleries to experience some of the weddings we have catered at estate venues in South Florida. As a preferred vendor, Eggwhites Catering has been working with Vizcaya Museum & Gardens to produce estate weddings and events since 1994. We understand the layout of the space and the the various “do’s and don’ts” of this historic wedding venue. We will bring your event to life beautifully while adhering to the guidelines that protect the integrity of the space. Working with your venue’s recommended vendors will ensure a streamlined and collaborative planning process. Delicious food and drink, artful presentation and impeccable, professional service are the hallmarks of an Eggwhites event. You can expect flawless timing, execution and attention to detail. 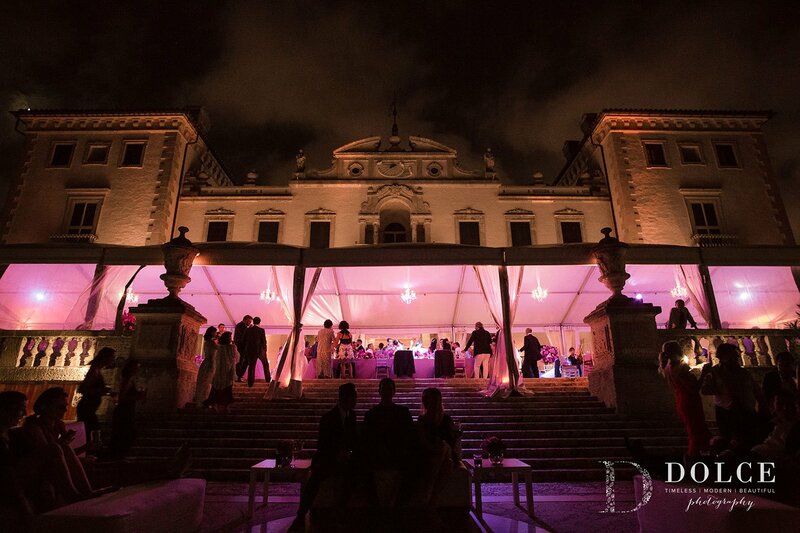 Furthermore, we have over two dozen years of expert experience catering events at Vizcaya Museum & Gardens. 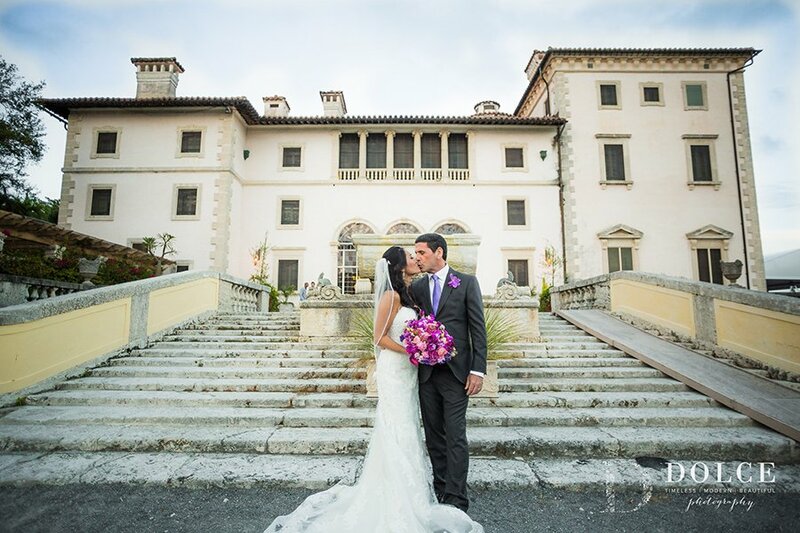 View sample Vizcaya wedding packages below. Eggwhites offers more than just wedding catering. We cater social events, corporate events, mitzvahs, engagement parties, rehearsal dinners and more.